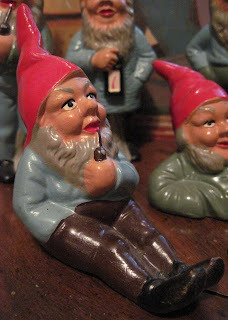 I love gnomes, and they comprise a major category of the "other stuff" I collect. The oldest gnomes in my collection are these miniature terracotta versions, made in Germany in the 1920s-30s. They're an expressive bunch of little guys, measuring 6 inches tall. One of my favorites in this set is the smoking gnome. He reminds me of that photo of J.R.R. Tolkien that's on most of his books. 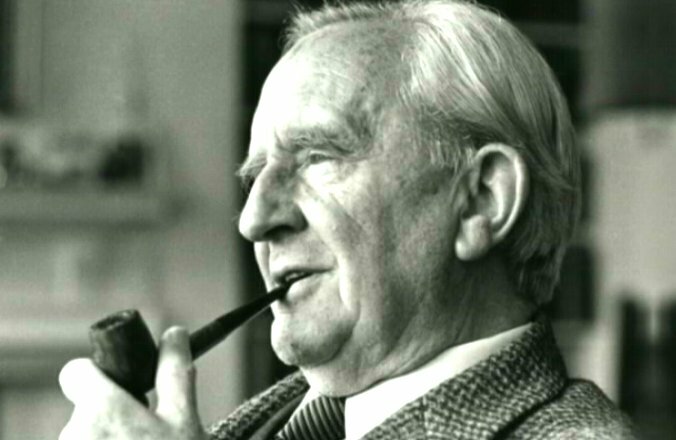 He's holding his pipe in just the same way, and looks like he's about to say something both jovial and profound. 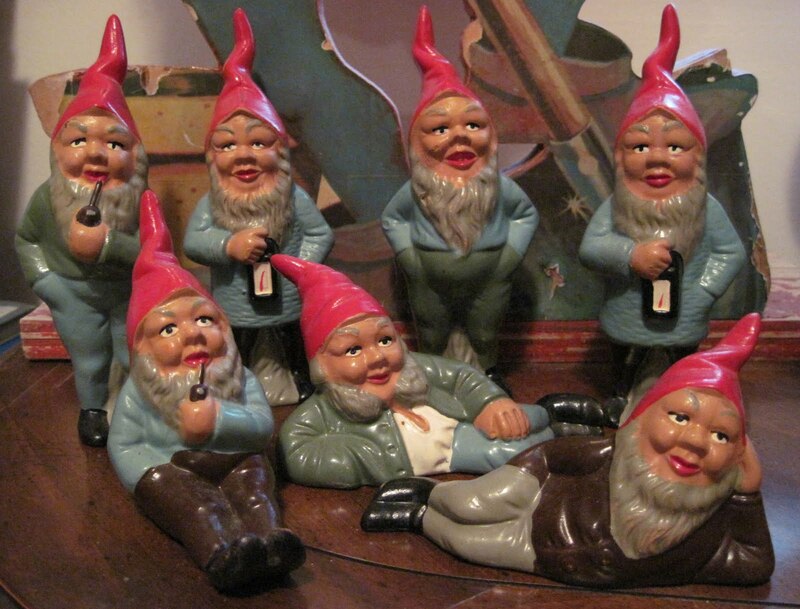 Hard-working garden gnomes, these are not. Tracy, I am a third year Graphic Design student at Chelsea College of Arts. I am doing a project at the moment that involves gnomes. 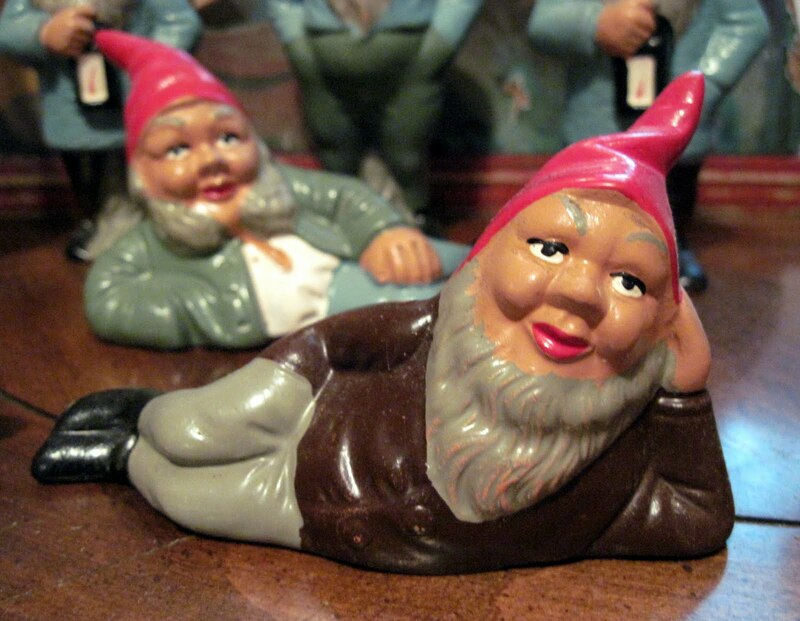 I need to get some really good studio photographs, I really wanted to buy one exactly the same as your front reclining gnome but can't find one anywhere. Would you be willing to sell just that one or could I arrange to borrow it to photograph one day?Thanks!